The OXXO brand continues to make an international impact thanks to our area developers in Indonesia Henry & Henny Soesanto and Eko Sukmono. OXXO Care Cleaners will be featured as one of the sponsors of this great event at Surabaya amongst other sponsors like United Nations Educational, Scientific and Cultural Organization (UNESCO), Bank of Indonesia, Ciputra World Surabaya and others. The very well recognized Asian Fashion Week AFW® would conduct an International Fashion Workshop comprising 25 International Fashion Designers originating from Latin America with upcoming Indonesian Designers for an extraordinary Fashion exchange. AFW® participating Countries include from Afghanistan, Armenia Azerbaijan Bahrain Bangladesh Bhutan Brunei Cambodia China incl. HK & Macau Georgia India Iran Iraq Israel Japan Jordon Kazakhstan Korea Kuwait Kyrgyzstan Laos Lebanon Malaysia Maldives Mongolia Myanmar Nepal Oman Pakistan Palestine Philippines Qatar Russia Saudi Arabia Singapore Sri Lanka Syria Taiwan Tajikistan Thailand Timor Leste Turkey Turkmenistan United Arab Emirates Uzbekistan Vietnam & Yemen. What Is The Importance Of Uniform? The Internal Revenue Service (IRS) defines uniforms as work clothes that are required and are not suitable for everyday use. Fortunately for workers like chefs, retail sales people and medical workers, business uniforms may be tax-deductible if the expense is not reimbursed. Many businesses consider it important to ask their employees to wear uniforms, and while some employees find the requirement annoying, others welcome not having to choose an outfit for work every morning. 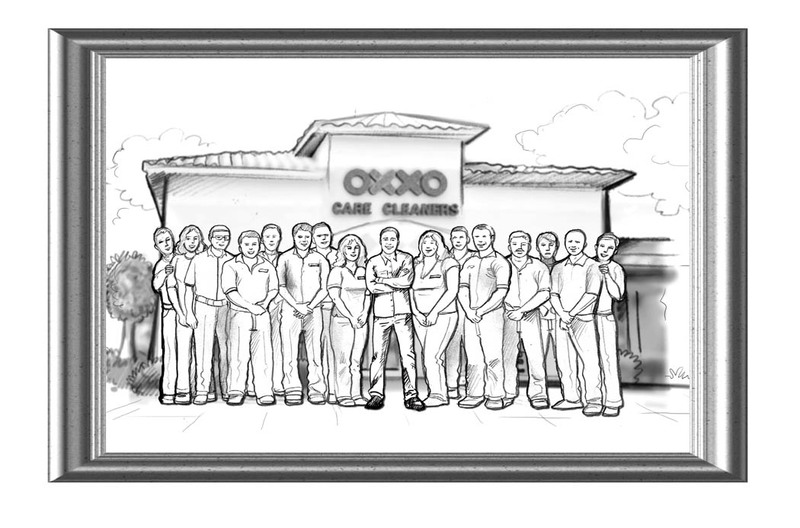 Creating a uniform for an employee can be as simple as placing an embroidered logo on professional-looking garments. Asking employees to wear distinctive uniforms in the colors associated with the company can go a long way in establishing an impression in the mind of the consumer. Uniforms identify workers as individuals who are associated with a company and its products, and they help to brand the company by distinguishing it from the competition. Consistency in employee appearance can create a positive impression on the customer and contribute to projecting the corporate image. Uniforms can enable customers to identify employees in a store setting, eliminating the possibility of a customer erroneously asking a fellow consumer for help. Employees wearing a uniform inspire confidence in the consumer by announcing that the individual is a professional with product knowledge and a willingness to help. A uniform puts the force of the corporate reputation behind the individual, making him look reliable and trustworthy as a company representative. Just as a police uniform identifies a law officer, a uniform can identify an employee who is out in the field making a service call or delivery to a customer’s home. Uniforms can also ease the mind of people handing over their keys when their car needs servicing, or when taking advantage of valet parking at a restaurant. Requiring employees to wear a uniform eliminates the need for creating and enforcing a dress code. In years past employees would usually wear similar, conservative clothing, but in today’s world workers tend to express their individuality through clothing. Enforcing a dress code is time consuming and can lead to hard feelings on the part of employees who are told that their attire is not appropriate for the workplace. 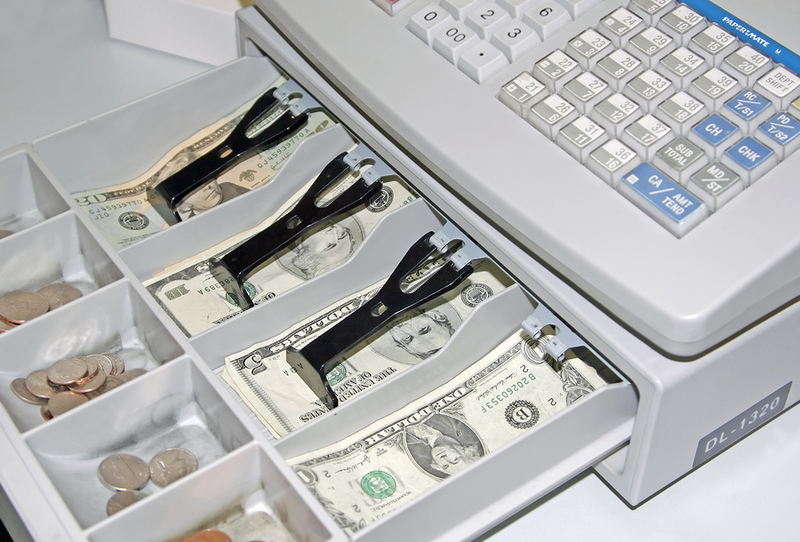 When assigning access to cash drawers, managers should admit a cash drawer to only one employee at a time. When only one cashier (and the manager) has access to the money in a drawer, any cash issues can be traced to the right person. 2. Count the beginning cash amount. The cash amount that should always start and stay in a drawer is known as the beginning cash amount. Management usually determines this cash amount and sets it as a policy. At the beginning of the day or shift, the cashier assigned to a cash drawer must count the money in the drawer to validate that the beginning cash amount is correct. Example: A restaurant’s beginning cash amount is always $150.00. This is usually an assortment of bills, $20 and smaller, for change-making purposes. The cashier for the shift needs to count his or her drawer to verify that it has $150 dollars inside, and also to be sure that the drawer has sufficient coins for making change. 3. Deposit cash during the shift. During busy shifts, the amount of money in the cash drawer can increase very quickly. Managers and workers should stay aware of the money in each cash drawer, as cash registers with constantly opening and closing drawers full of hundreds of dollars can be tempting to observant robbers. The most automatic surveillance can be found with a POS system, which provides constant updates for current sales and register balance amounts. You may want to select a point at which to remove cash from the drawer. For instance, if the balance in the register rises to $200 or more above the beginning cash amount, it is prudent to remove cash and deposit it into the safe. This is sometimes known as a cash-drop. 1. Choose non-peak times. Wait until there is a lull in customer traffic, if possible. 2. Count up to a certain amount. Check to see how much cash is in the cash drawer. If there is $200.00 or more over the beginning cash amount, it is time to perform a cash-drop. 3. Do quick, but simple math. Take the total current balance in the cash drawer and subtract the beginning inventory amount. The result is the amount you need to remove. 4. Give approval. Both the cashier and the manager need to approve that the cash removed is the right amount. 5. Get a second pair of eyes. Both the cashier and the manager witness that the cash is deposited into the safe. Often there is a secondary compartment where these cash drops are deposited. Example: If there is $475 in the drawer, and your beginning cash amount is $150, you would subtract $150 from $475. The amount you should remove from the drawer is $325. Example: If the number is not a whole number, managers will often just round down to a cash amount that is easy to drop. If there is $476.59 in the drawer, and your beginning cash amount is $150, you would still subtract the two. However, you would round down to the closest 20 so as to remove the big bills first. The smaller bills and coins should be in there for making change. The amount you should remove from the drawer is $320. 4. Balance the drawer at the end of the shift. At the end of the shift or at the end of the day, all cash registers need to be balanced. Some restaurants call this “checking out,” since a cashier typically needs to make sure all the sales transactions and cash totals check out correctly before he or she can clock out. Like a cash-drop, this procedure requires a manager’s assistance for extra accountability. 1. Find a safe area to count. Remove the cash drawer from the register and take it to the back of the house, or to a safe and secluded area, to count. 2. Count the total amount in the drawer. This includes all bills and coins. Use a cash drawer check-out sheet to keep track of these amounts. Be sure to also account for all checks and credit card receipts. 3. Analyze your totals. Compare the total amount that was personally counted with the total amount that was calculated by the POS reports or register receipts. These amounts should be the same. 4. Check for discrepancies. Overages or shortages less than a dollar are usually a result of minor human error. However, large or consistent discrepancies between the cash that should be present and the cash that is present could indicate theft or lack of proper training. 5. Check for voids. Usually, the manager needs to approve voids before the cashier can proceed with one, but revisit any voids that were entered into the POS or register during that shift s that the manager is aware and the employee stays accountable. Include all voids on the cash drawer check-out sheet. 6. Place all cash in a deposit envelope. Include the cash drawer check-out sheet and attach any receipts, credit card slips or terminal reports to the sheet. Place everything in the deposit envelope and drop it into the safe to be deposited the following day.